Is there an explanation or is this just a movie mistake? Ben was present at Luke's birth and delivered him to his adopted parents at the end of Revenge of the Sith. He then installed himself in a nearby hovel to keep an eye on him and to defend him from potential attackers. 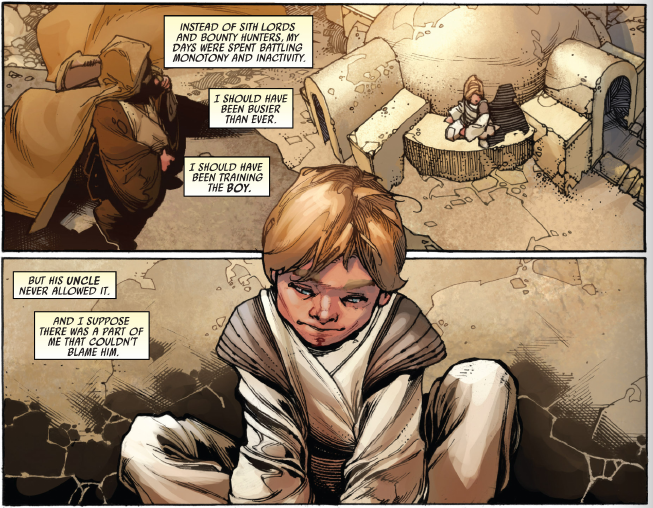 We see in the (canon) comics that he met with Luke on multiple occasions during his early years, initially visiting the family on occasion, then observing the boy from afar after his falling-out with Owen Lars, right up to age 17, just a couple of years before seeing him again in ANH. They were next door neighbours. Obi-Wan had known Luke all his life. Later on in the prequels George Lucas had Obi-Wan be the one who had brought Luke to Tatooine and Obi-Wan was only living there because of Luke, having always planned to train Luke if he grew into a good prospect. "The droid says he belongs to someone named 'Obi-Wan'. Do you think he means Old Ben?" To me, it seems clear from his preceding conversation with his Uncle that they all knew who Old Ben was, and so it reasons that on a desert planet with a tiny population that Old Ben would know who Luke Skywalker was. Not the answer you're looking for? Browse other questions tagged star-wars a-new-hope luke-skywalker obi-wan-kenobi or ask your own question. When did Obi-Wan change his name to Ben? 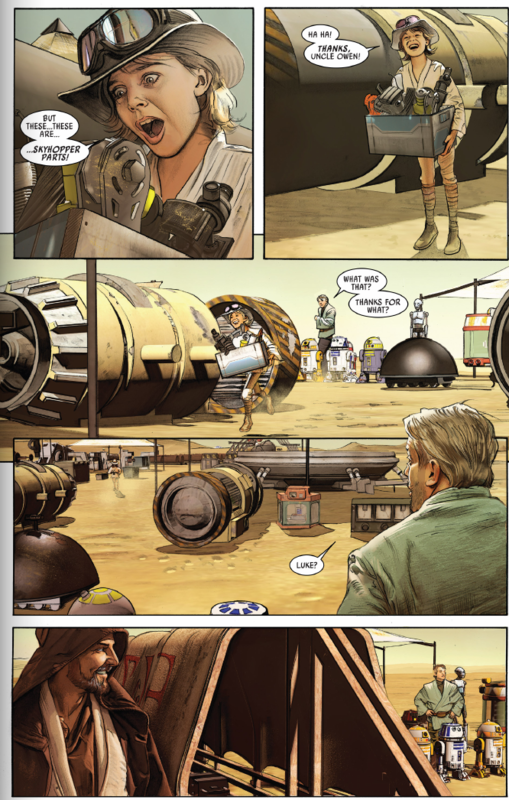 “Help me, Obi-Wan Kenobi” — how does Leia know who Obi-Wan is?